Taking your Security Operations Center (SOC) to the next level has never been more critical. Organizations around the globe are investing heavily in cyber defense capabilities to protect their most critical assets. 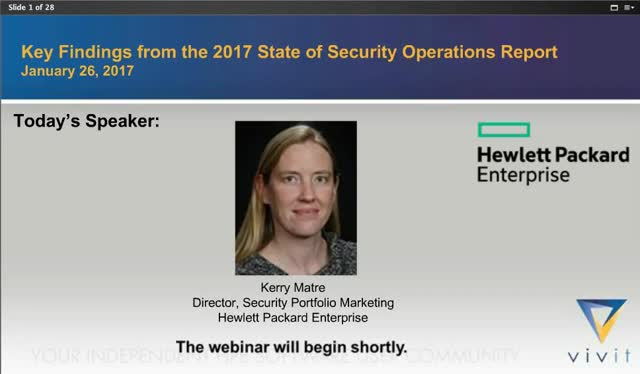 Don’t miss this webinar to explore key findings from the 2017 State of Security Operations report on cyber defense organizations’ capabilities and maturity. Learn what the most successful SOCs in the world are doing right, regional trends in the maturity of cyber defense capabilities and best practices to apply within your organization.